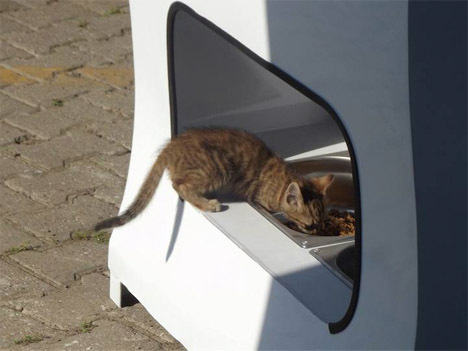 Dispose of your empty plastic bottle in this little sidewalk kiosk, and it’ll dispense enough food to feed a stray cat or dog. 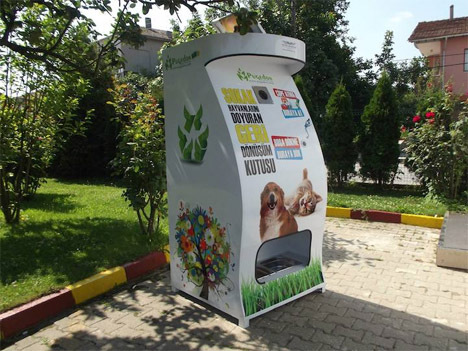 Aiming to help both the environment and homeless animals, the vending machine by Turkish company Pugedon operates at no cost to the city since the value of the plastic pays for the food. 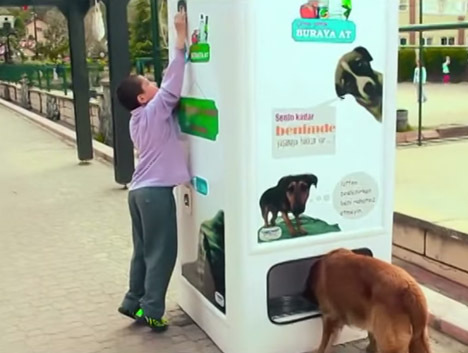 Referred to by the company as ‘ecological life support,’ the vending machine is an answer to a pressing problem in Istanbul: around 150,000 stray cats and dogs. 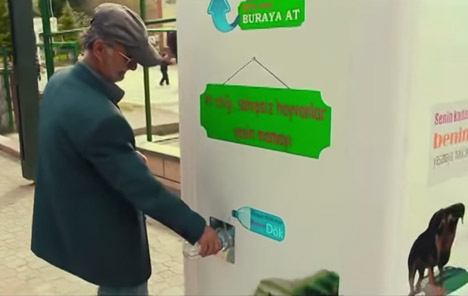 Anyone passing by with a little bottled water can also choose to empty the rest of their water into the machine for the animals. These animals generally rely on the kindness of local residents to survive, and while some love having them around, others believe they’re dangerous and a source of disease. The locals who host Facebook campaigns to gather supplies to care for the animals are countered by attempts to poison them. 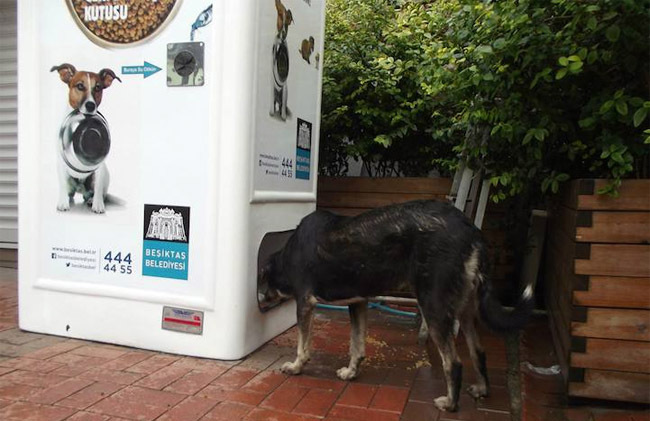 While this vending machine isn’t an answer to the problem of homeless animals, it does offer an interesting compromise to care for them without putting a burden on Istanbul residents or the city.